You will be met by your driver at the Barcelona airport and transferred upon arrival to your hotel. 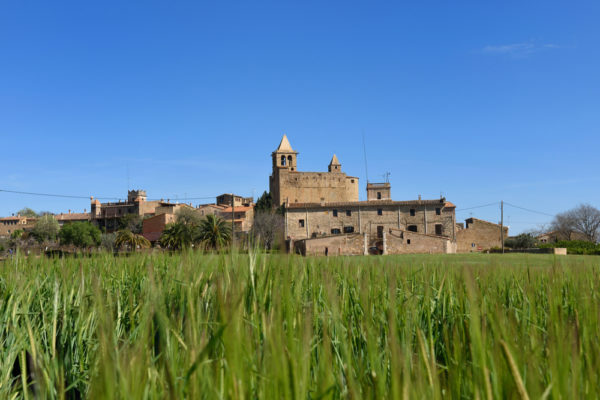 Relax at the lovely hotel crafted from adjoining 14th century village homes in the village of Madremanya. The hotel blends historic stone architecture with cutting-edge interior design. No comfort is spared in the rooms or the restaurant, and the tranquility of the village will win you over. While you wait for the time of your private cooking class, swim in the outdoor pool, schedule an expert massage, or simply lounge on the lovely outdoor terrace overlooking the gentle Catalonian countryside. The afternoon private cooking class will be in the restaurant kitchen at Hotel La Plaça de Madremanya. Hands on introduction to the emblematic dishes of Catalonia. Dinner in the hotel’s dining room of the dishes prepared in class, accompanied by D.O. Empordà wines of the region. Transfer to the historic city of Girona. Walking introductory tour of Girona, including the medieval Jewish Quarter and the Cathedral. After the tour, you will be treated to a cheese and membrillo tasting. Taste 4 local cheeses accompanied by 4 different artisanal membrillos (quince paste). Lunch is at Massana, a 1-Michelin starred restaurant specializing in modern cuisine based on local ingredients. Free time in Girona after lunch for shopping and exploring before returning to Madremanya for a wine tasting, featuring Catalonia’s best vintages. Dinner at Restaurant La Plaça in the hotel in Madremanya. Spend a relaxed day exploring the stunning Costa Brava (Wild Coast) with a private guide. First visit Púbol, where Salvador Dalí’s restored castle is found, complete with Dalí artwork. Next visit the town of La Bisbal whose streets are lined with Mediterranean pottery stores. Next you will stop by a small chocolate maker’s shop for a chocolate tasting. Lunch is in a Mediterranean coastal village, where fresh fish and shellfish are from the morning’s catch. Return to the hotel after lunch. Dinner: Option of private transfer to the three-Michelin starred Celler de Can Roca Restaurant, whose chef Joan Roca creates some of Spain’s most stunning modern dishes in elegant surroundings. You will be treated to a private kitchen tour before dinner. Transfer to the Girona train station for your train to Provence. 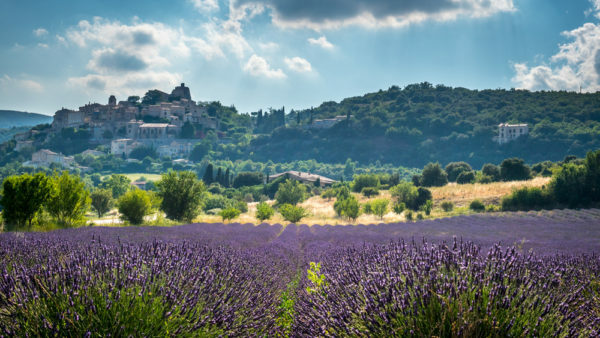 Arrive in Avignon where you will be met by your driver and taken to your hotel nestled amidst the Alpilles mountains in Provence. Just a few minutes walk into the charming town of Saint Remy once home to Van Gogh and Nostradamus. You can relax by the pool or enjoy your time in town, you will want to stop and try the famous alphabet chocolates. Dinner this evening is at the hotel. 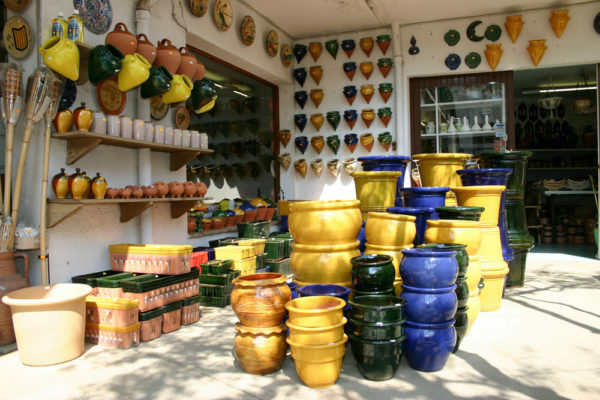 This morning you will enjoy a market tour of Saint Remy des Provence. This afternoon have lunch in the perched village of Gordes overlooking the Luberon at the gastronomic restaurant by Chef Pascal Ginoux. The Les Bories, 1 star Michelin restaurant offers amazing Provencal flavors with an impressive presentation. Following lunch you will explore the hilltop town with its narrow streets and quaint shops. 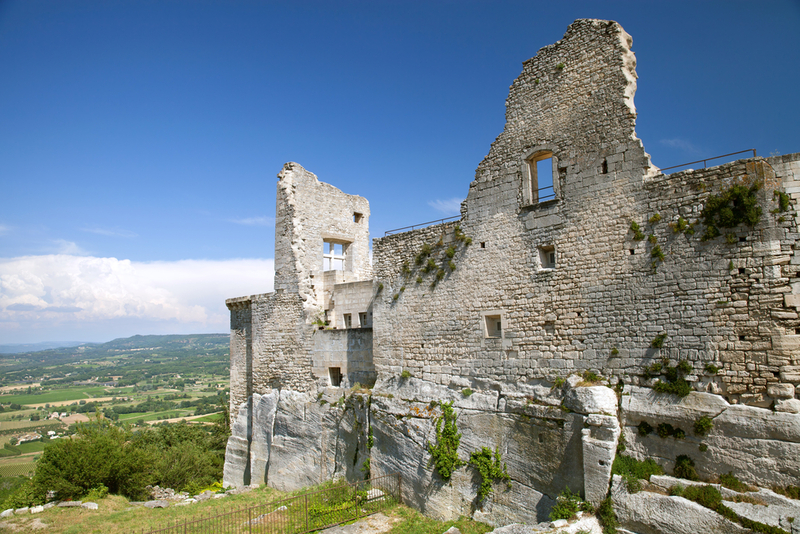 There may also be time for a short visit to the Senanque Abbey before heading back to your hotel. 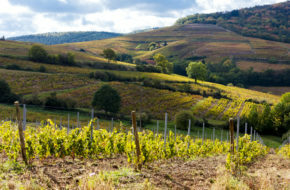 Your driver guide will pick you up at your hotel for todays private wine tasting excursion to Châteauneuf du Pape. 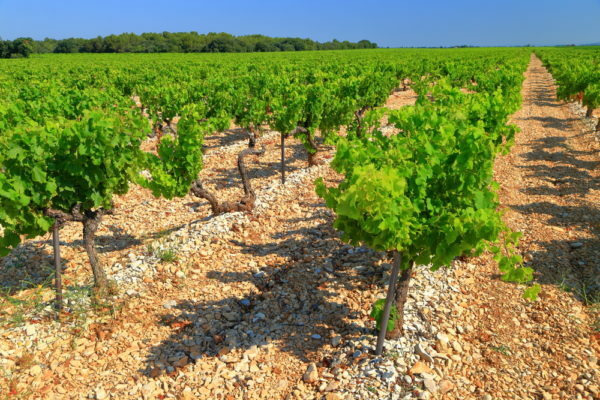 This area is firmly rooted with papal history and did much to advance the reputation of wine during a seventy year stretch during the Avignon Papacy. Châteauneuf du Pape is one of the most renowned appellations of the Southern Rhone Valley. You will have an opportunity to discover the wines of Domaine Grand Veneur and Domaine Vieux Telgraphe. Stop along the way for lunch with a wine pairing that highlights your meal. 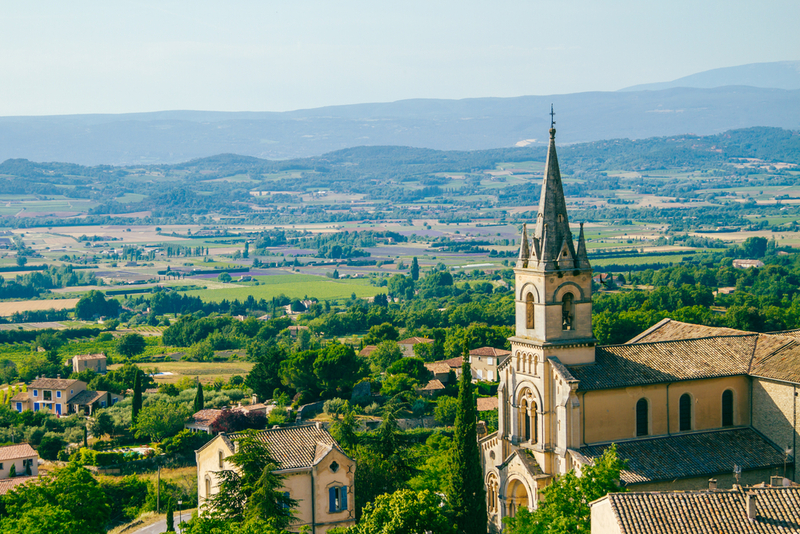 Today is the day for some of the most beautiful villages of Luberon. 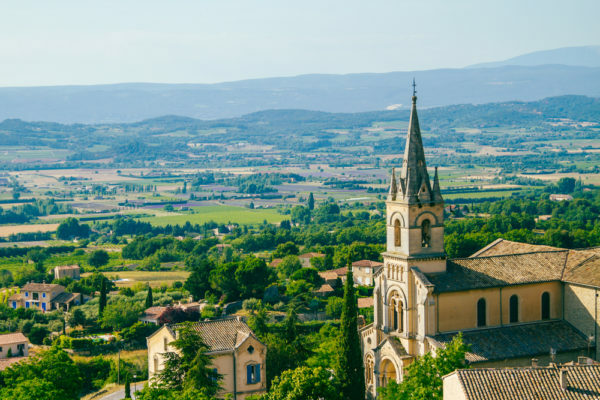 Bonnieux rests on top of the Luberon hills an affords you a gorgeous view over the Luberon Valley. 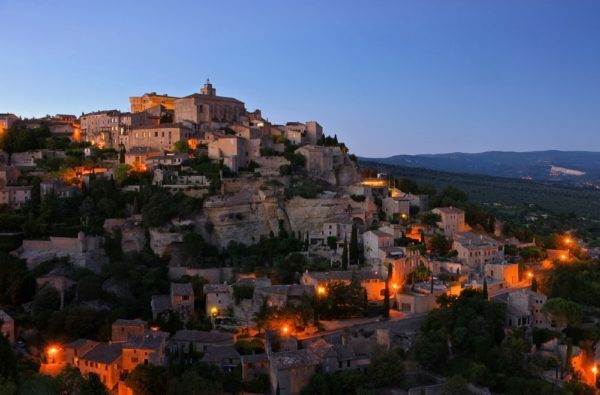 Next the charming village Ménerbes that was made famous by Peter Mayle’s book, A Year in Provence. Close to Ménerbes are the ruins of the Chateau de Lacoste, where you will see the 11th century residence of the notorious Marquis de Sade. This village has beautiful stone houses and narrow streets that are paved in “calade” stone. Driver will pick you up at take you to either the Marseille airport or to the Avignon Train station for your departure.